If you are anything like me, you can quite easily spend an hour or two an evening searching through the classifieds. Looking, maybe even dreaming about what ‘weekend car’ you could purchase. Recently I decided to give myself a £15k budget and complete this quest for real! 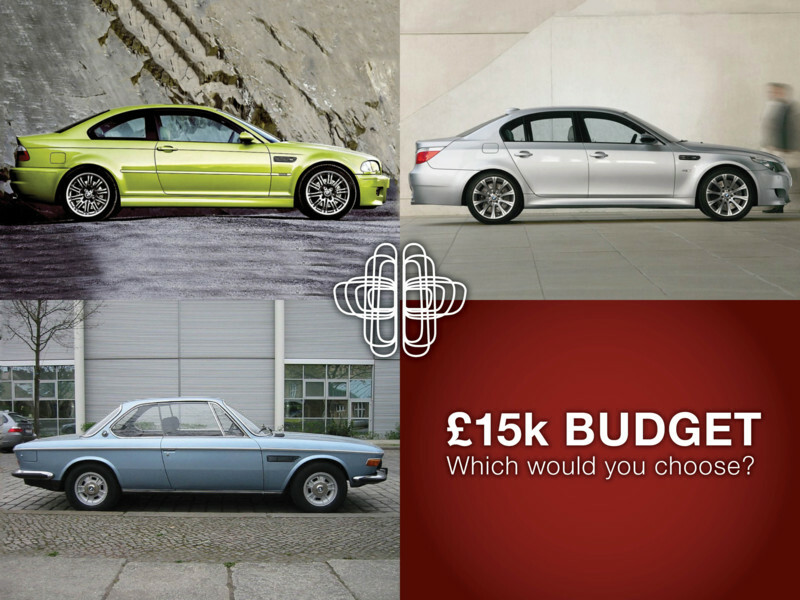 Now £15k opens a range of possibilities in BMW world, with so many models being well cared for and now becoming ‘modern classics’. So before I started my search I decided to list what criteria was important for me. Firstly, I drive a 300bhp automatic diesel as a daily driver, lots of torque, 50mpg and boring as hell. So I wanted something that would thrill me when I took it for a weekend blast. It did not have to be particularly fast but engaging and characterful. Secondly I wanted it to be beautiful to look at. I truly believe that BMW have produced some of the most aesthetically pleasing cars in history. The E30 M3 and E9 CSL being the epitome of this, unfortunately they are a bit out of budget here. Lastly, the car must hold its value. 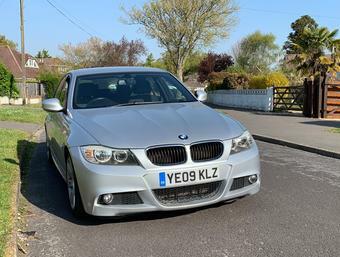 Or even better appreciate, this is mainly stipulated as it has been the headline of my manifesto in convincing my wife to allow me to purchase yet another BMW! So after searching through the classifieds for a week I came up with 3 models which all seemed to fit the bill. 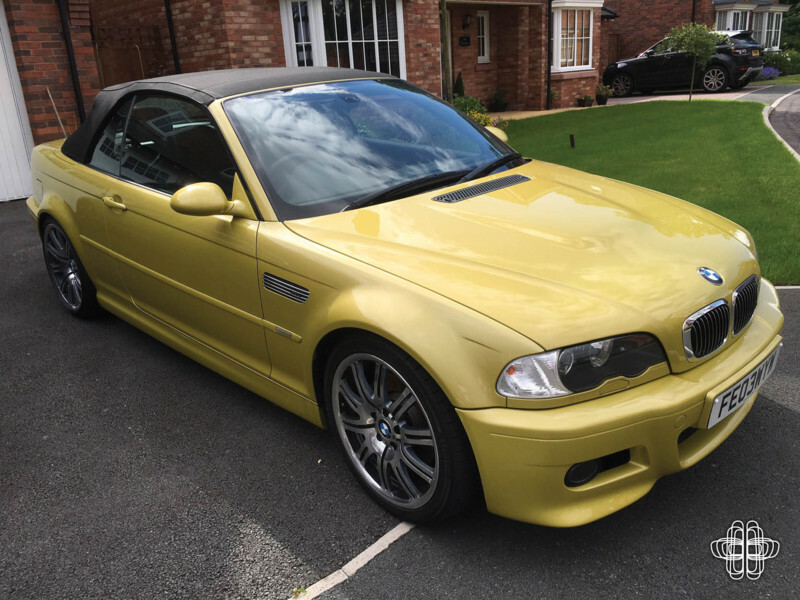 Very different cars but all highly desirable, the first was a E46 M3 Cabriolet in Pheonix Yellow. The E46 M3 is in my opinion a game changer for BMW, it was just so well proportioned, aggressive looking, reliable and this led to massive popularity. Now, Pheonix Yellow is not to everyone’s taste but in my opinion the M3 is the young sibling of the M5 and should be clad in loud colours like Pheonix yellow, Imola red or Estoril blue. If you’re going to do it go the whole hog and make sure it gets seen! 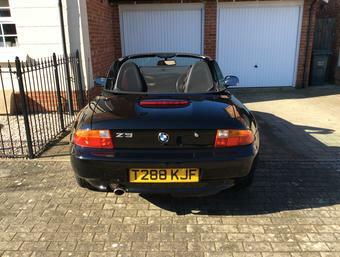 I prefer the E46 in Cabriolet body due to the fact they are actually cheaper than the coupes and give you that ‘al fresco’ option – even if it’s only for the 3 days of British Sunshine! Having retuned the car back to the forecourt I had another good look around, the E46 has perfect proportions, bonnet bulge, compact yet wide, 19” rims and 4 exhaust – what’s not to like? Maybe not beautiful like an E30 but attractive with rugged good looks. The car also had FSH with the running in service completed on time and had undergone a sub frame check in 2014. Now will it lose money? This example was up for £12,995 which is top whack, at present value. But It was in exceptional condition and I can’t believe that it will lose any money whatsoever. Especially looking at what the premium CSL’s and CS versions are commanding. Hold on to her for 5 years and I’m sure values will start increasing into the late teens? 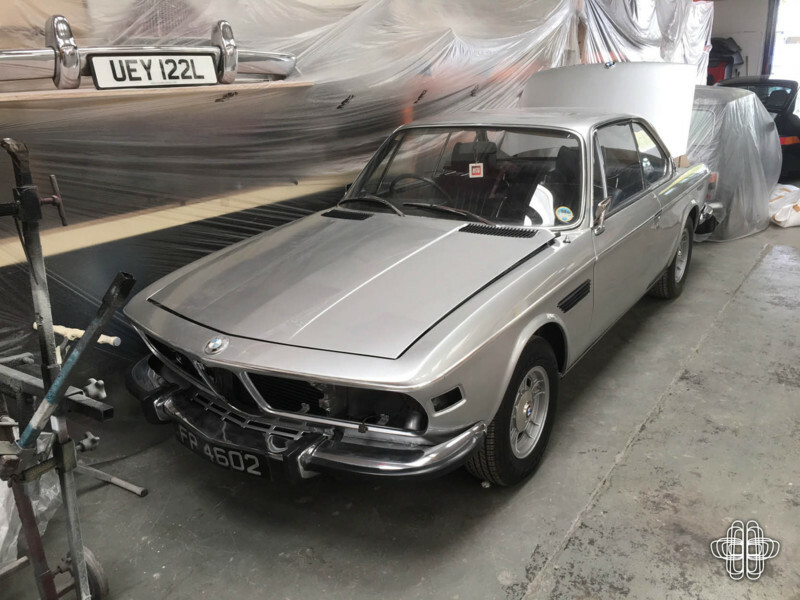 The next car was entirely different… A BMW E9 from 1970. This car for me is all about being ‘cool’. Ask yourself, when was the last time you saw an E9 on the road? For me it was about 6 years ago and not even in the UK. This 2800CS was in a bit of a sorry state but with a purchase price of £12k I can almost justify its inclusion here. Now the E9 was the predecessor of the E24, it sports the ‘shark nose’ but has softer lines of the later 6 series and I think it’s just gorgeous. Let’s just call it BMW’s version of Aston’s DB5. The car itself was MOT’d, RHD, with just 100k on the clock. But and there is a big but. Rust was on many panels and the whole car required a light restoration. E9 parts are hard to come by and very expensive, but just look at it! How did it drive? Pretty well, actually. Manual 4-speed box, upgraded 4-pot brakes off the (original) CSL and to be honest when you get in you just want to go slow, stopping outside as many shop windows as possible, just to see the reflection. 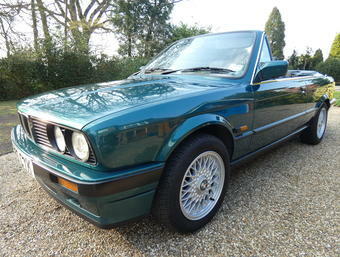 As far as values, restored versions are now over £30k with some pushing £40 if they are concourse. Only a few hundred are left on the road across all model variants, it’s a pretty safe bet. Providing the restoration is ‘light’. 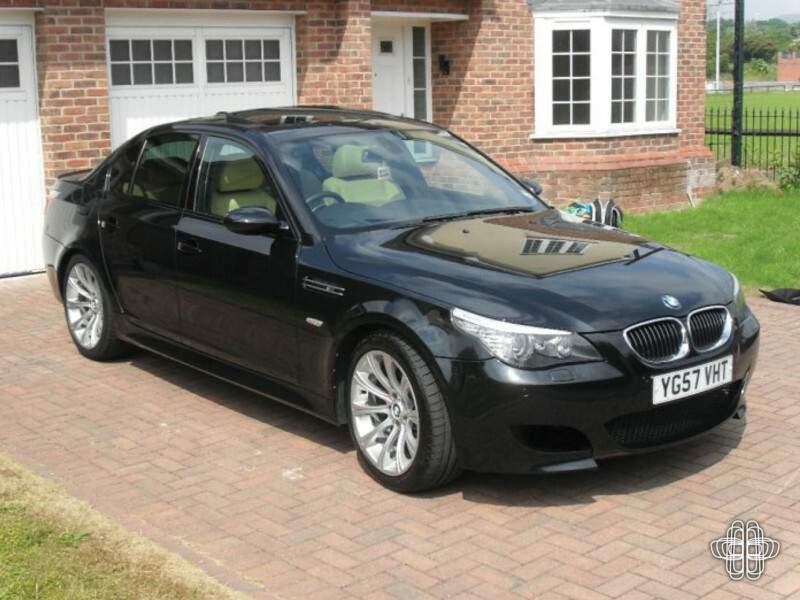 The third option was as far from the E9 as possible, a 2007 E60 BMW M5. The V10 is quite possibly my favourite engine ever built. I have previously owned a 2006 model quite a few years ago and suffered horrendous running costs, SMG failure and depreciation that would be similar to a Maserati Quattroporte. But hey, a 507bhp, 200MPH family car for £15k has got to be worth a look. This particular model was black with a sandy coloured leather interior which I did not want my 4 and 6 year olds to ever ‘grace’ after football practice. The car also benefited active seats, which will scare any passenger – the bolsters close around you if you corner at haste. The car was in almost immaculate condition with the interior retaining that new car small. The test drive was pretty special, after 3-4 minutes ‘M’ was depressed on the steering wheel, 507bhp on tap and gear changes set to violent! Now I know a GTR or even a new F10 M5 would out perform an E60 but this V10 is as close to a Ferrari as you will come, peak toque at over 6000 rpm and a screaming redline of 8250 rpm – the E60 M5 is basically an F1 saloon car. It drove as expected, precise, fast and returned 12mpg. Well, you can’t have everything (or maybe you can with a mapped 535d but I digress). The E60 M5 was the last true M5 in my opinion, that calibre of naturally aspirated engine will sadly never be produced again. Yes the running costs will be high and yes the SMG feels dated but on that summers day when you press that magic ‘M’ button and rocket down the slip road you really won’t care! As for values, buy the best you can find and hold on to it. With running costs being so high it won’t take long for many higher mileage cars to die off and your cherished example will surely appreciate. So which did I buy? Gosh, I'm back in that place again. Errm – I think it has to be the E46. It's just such a good all-rounder. Fast, reasonable running costs and at the bottom of its depreciation curve. A true moden classic. I love the aggressive looks and the simple fact that it's a cabriolet. So that’s that. But if I even see a hint E9 or hear a V10 scream past I'll be straight back into the classifieds!